There are digital cameras that are camcorders and camcorders that are digital cameras; the lines are blurring … but don't let all this confuse you. 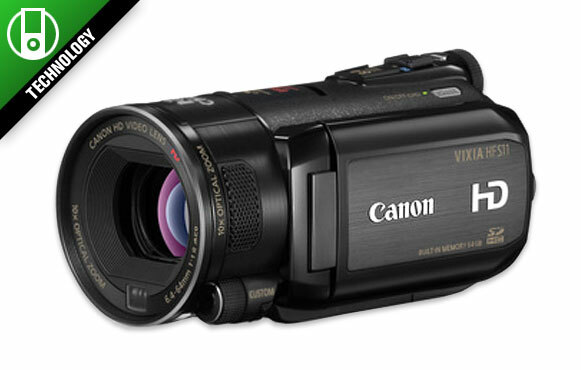 If you are looking for a high-quality, all-digital HD camcorder, then the HF S-11 is your answer. This features a dual flash memory system that has 64 GB of internal flash space and unlimited capacity on SDHC cards. The video is stunning at full 1920x1080 (1080p) and uses a Canon-designed and manufactured 1/2.6-inch 8.59 Megapixel Full HD CMOS image sensor, similar to the CMOS image sensors in Canon's EOS Series Digital SLR cameras. With an image sensor like that, it means you also get an 8 Megapixel digital camera, to boot. The unit is also small and fits in the palm of your hand, making it the perfect camera to take with you all the time.